When the HTC One first launched, there was some back and forth on the web whether the red-colored variant of this device would ever hit retail shelves. Well, the device that we saw listed on HTC’s site the day of the One’s launch is finally going to the public, but unfortunately not to Verizon’s network. 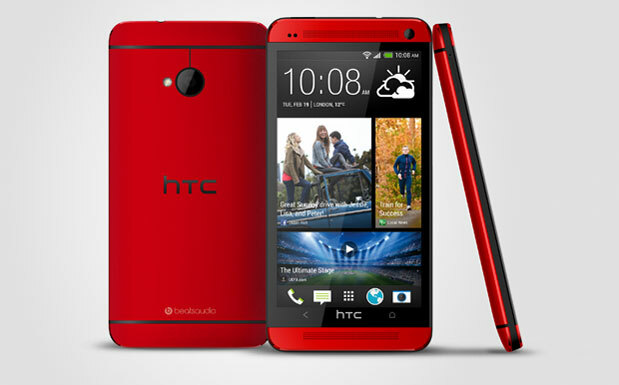 HTC announced today that the UK phone retailer, Phones4U will exclusively feature the red HTC One for Europe. Other than the new color palate, there is nothing different internally in this One. It’s the same 1.7GHz Snapdragon 600 processor with 2GB of RAM. For now, the only details on a launch date for this red device is “mid-July.” This color could eventually make its way to other markets in the future, but that depends on the period of exclusivity that Phones4U received from HTC. Would you pick this color if Verizon eventually carried it?